This logo is one of our favourites! 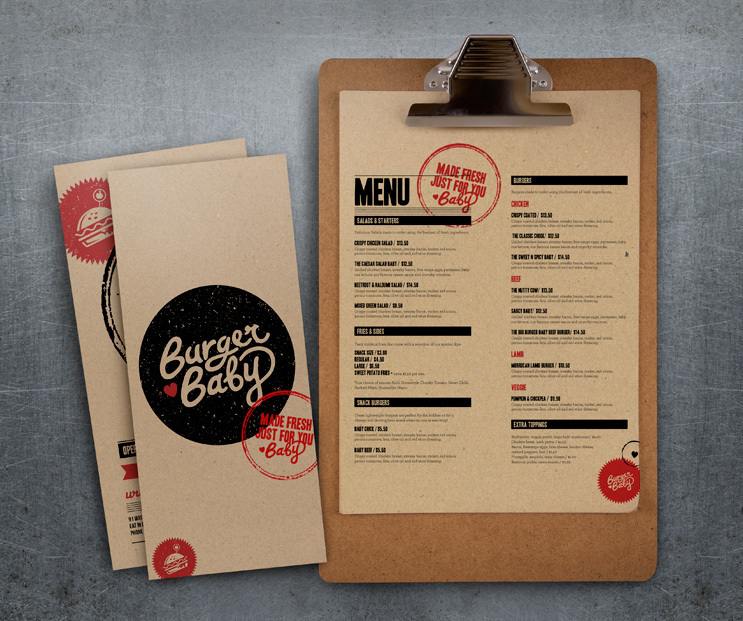 It’s playful and fun with a contemporary look relevant to the fast paced food industry. The handwritten, customised typeface mimics the handmade quality of the produce and promotes the brand as approachable, friendly and all round loveable. 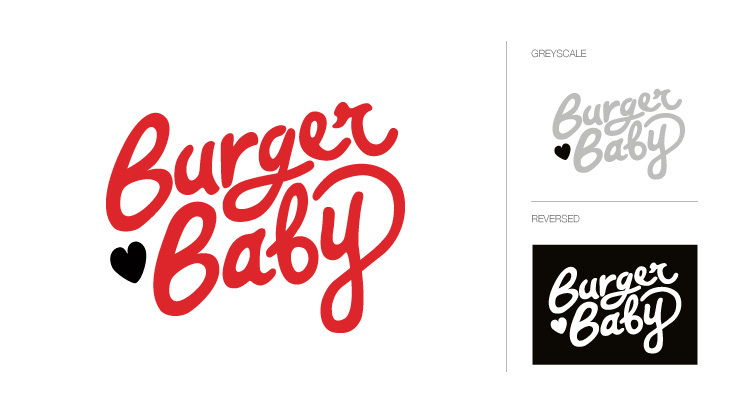 The love heart plays on the word ‘baby’ and sends a message that Burger Baby is passionate about burgers. 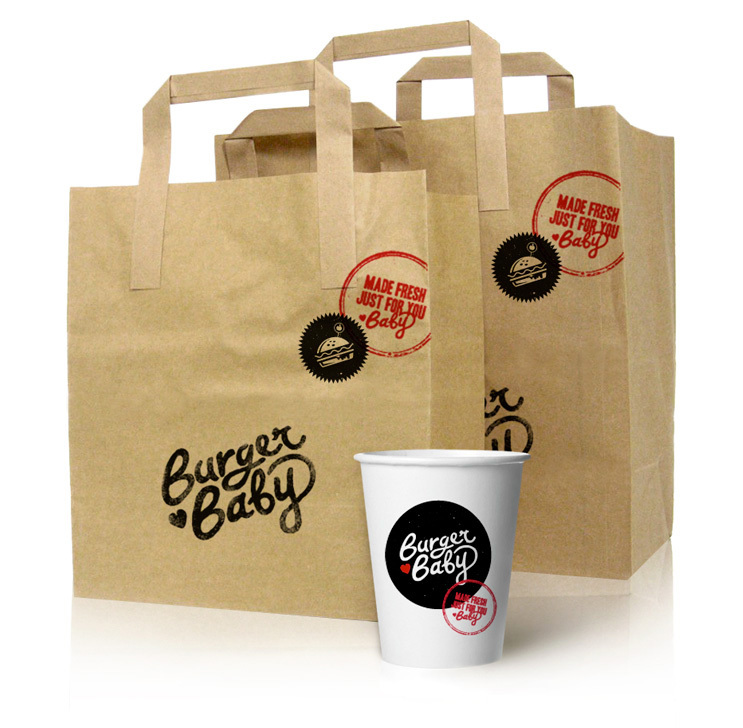 The 2 colour palette ensures production costs for packaging and signage are kept to a minimum.